Looking for the best way to shine a light on your CV and set it apart from the pile yet to be read? 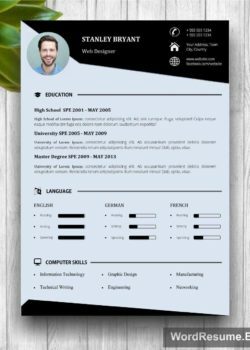 We consider a uniquely-written CV to be the most efficient way to impress a future employer. You may be asking yourself now: ’But how do I make one?’ And the answer is- we already made it for you. 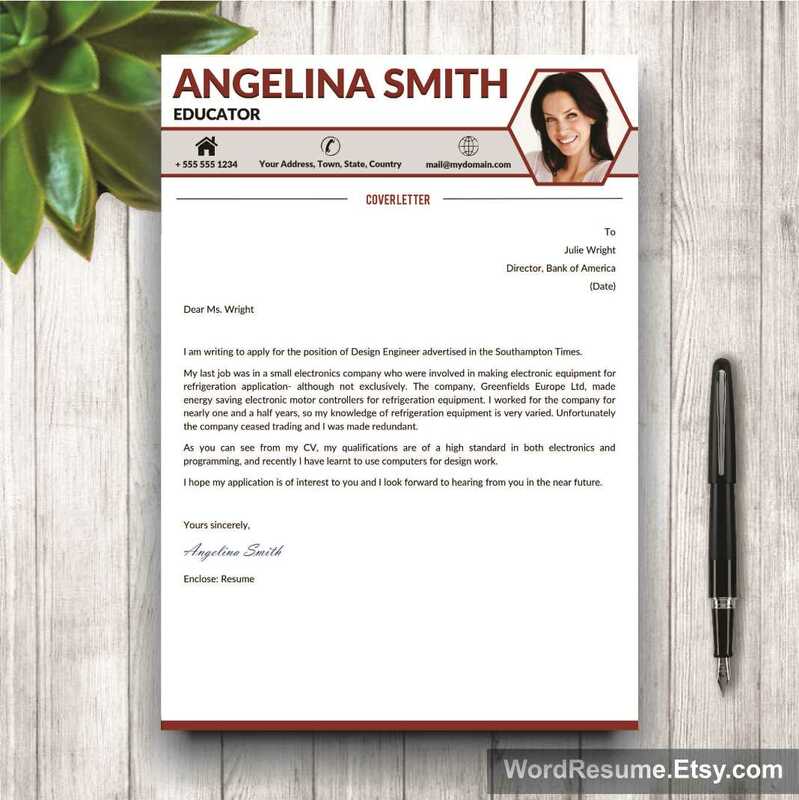 Our Professional 2 Page Resume Template + Cover Letter + Portfolio was created by our detail-oriented experts with care. 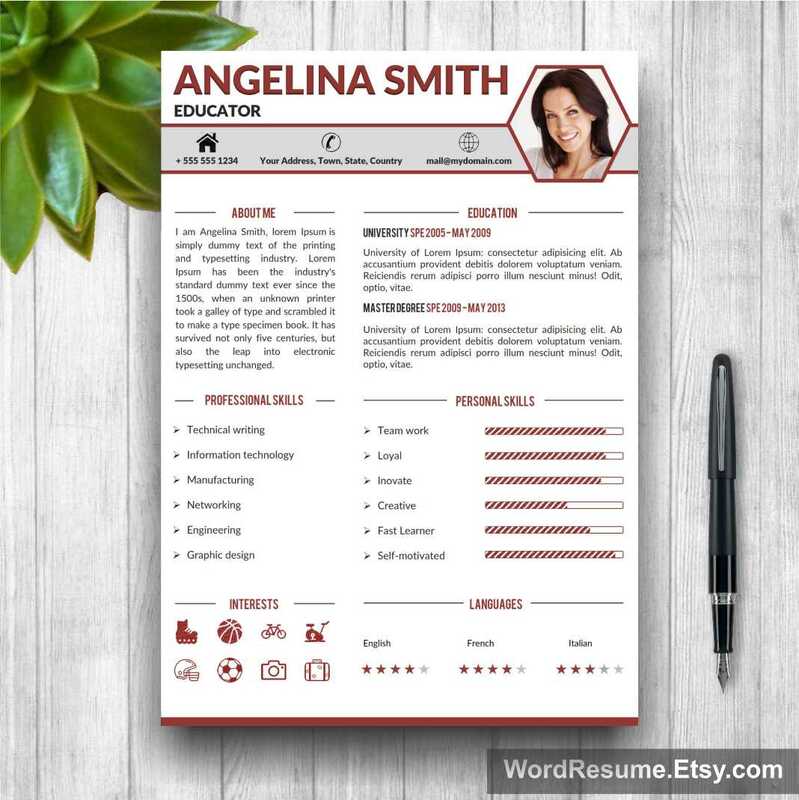 The attention of your future employer is bound to be drawn with this curriculum vitae since this form is most likely to be different from all the others. Professionalism is key for most industries in which this curriculum vitae emphasizes. 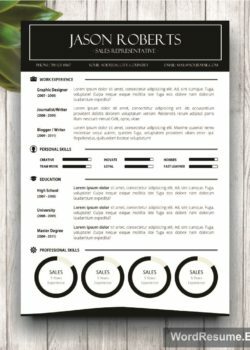 The resume contains 2 pages, but a big bonus is a cover letter and portfolio which gives it a dose of much-needed creativity, along with the unique approach. 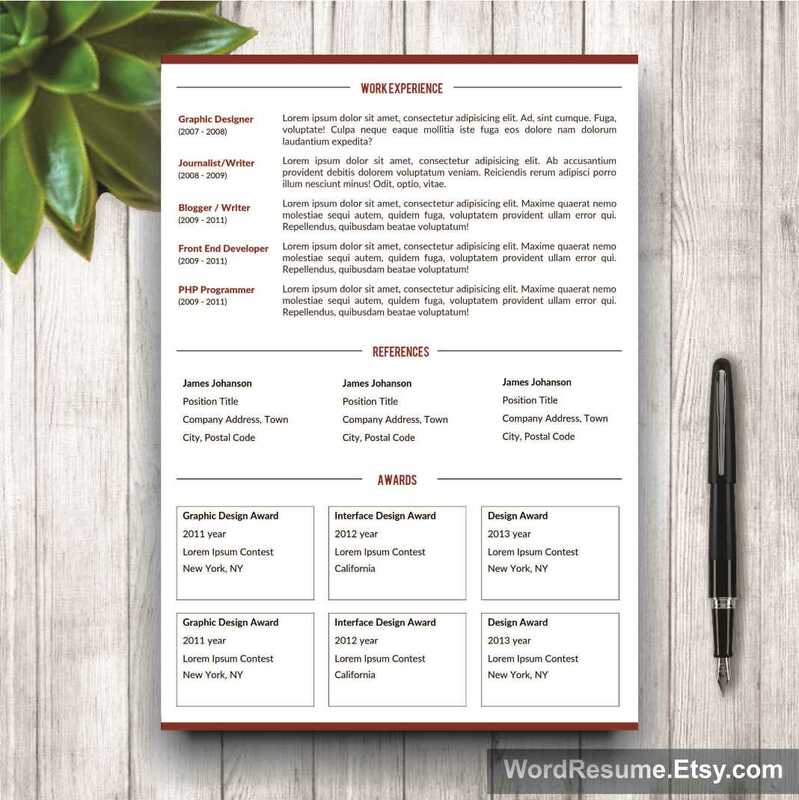 Bullet points and sections in this resume are designed to be modern for many years to come as well as for many professions. 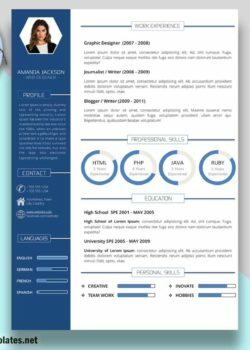 Professional 2 Page Resume Template with free Cover Letter and Portfolio can help you accomplish your career goals with less stress and difficulties. 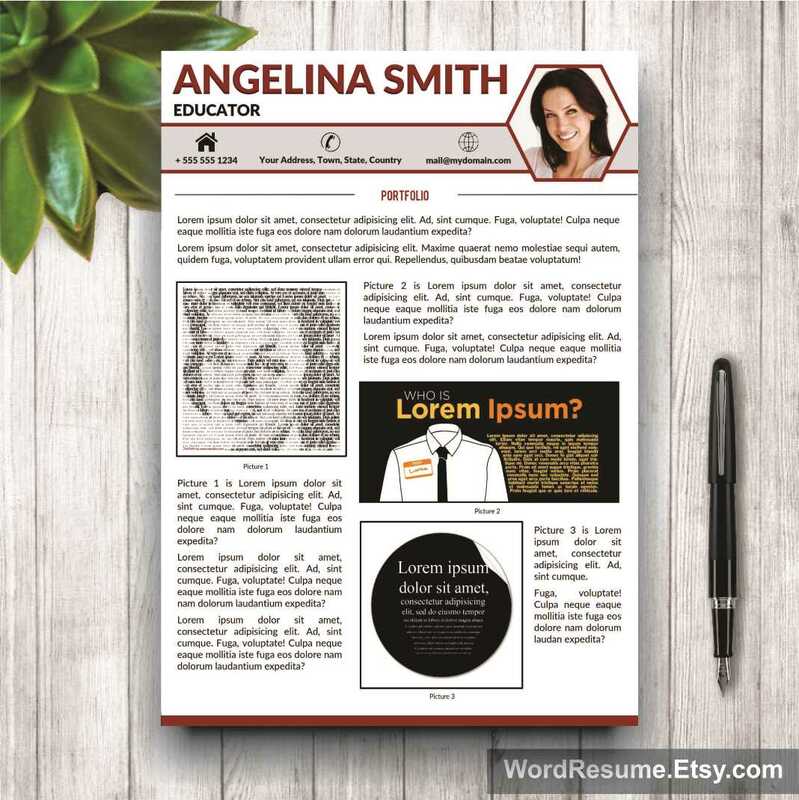 – All designs are copyright of the CreativeResumeTemplates.net.